Still working on your Christmas present list? A gift donation to World Land Trust is an original and inspiring present! 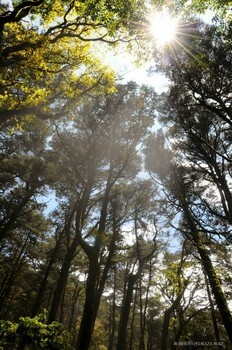 All donations of £25 or more to World Land Trust (WLT) can be made as a gift for another person. A gift donation is an excellent way to support the Trust, and gift donations come with a Gift Pack in the name of the recipient. Buy an Acre, WLT’s longest running appeal, is the Trust’s most tangible and effective way of saving land forever. Launched in 1989, when land in Belize could be purchased and saved for £25 an acre, WLT has gone one to save threatened land acre by acre in over a dozen countries. Testament to this success is the fact that land purchased through Buy an Acre is protected as nature reserves and the biodiversity of these habitats is now safe. Today £100 saves a precious acre in Bolivia, Colombia, Ecuador and Mexico and new land is being added to the Buy an Acre portfolio all the time. These are real acres in real places and you could even visit them yourself. Failing a visit, what could be more satisfying than knowing that a relatively small donation of £25 will secure a quarter of an acre of forest? This unique gift will last forever. Buy a quarter of an acre for £25, half an acre for £50, or a whole acre for £100. Tree planting projects are successfully restoring forests where they have been lost in the past. WLT is helping partners reconnect fragments of forest to ensure continuous habitat. Tree planting has already taken place in Brazil and is currently being carried out by Ecuadorian partner, Fundación Jocotoco on the Jorupe Reserve. WLT will undertake more tree planting with other partners as funds are raised. Trees are traditionally associated with Christmas, and for £25 you can plant five trees in Ecuador, or one tree for just £5 (great stocking filler). Plant a Tree gift donations of £25 or more come with a personalised Gift Pack. A £5 Plant a Tree gift donation comes with a standard gift card by post or we can send a standard pdf card by email. WLT’s two special appeals focus on endangered mammals: the Orang-utan in Malaysian Borneo and the Caucasian Leopard in Armenia. Gift donations to either of these appeals are perfect for children who are often fascinated by wild animals. In 2013 our fundraising efforts to safeguard the Keruak Corridor in north east Borneo have been very successful, but we still need to raise £275,000 to meet our one million pound target. Every donation to the Borneo Rainforest Appeal helps us safeguard tropical forests against the onslaught of oil palm plantations. This has also been an exciting year in the Caucasus Wildlife Refuge. 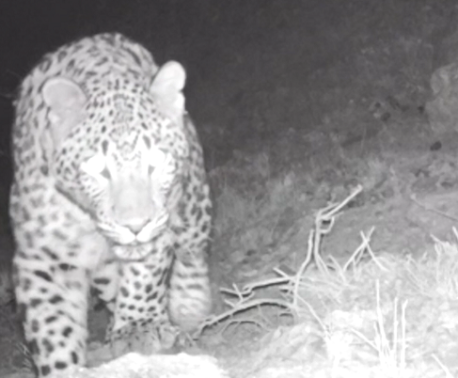 In August we saw the first video footage of a Caucasian Leopard in the wild in Armenia, and the first pictures of a leopard in the area since 2007. 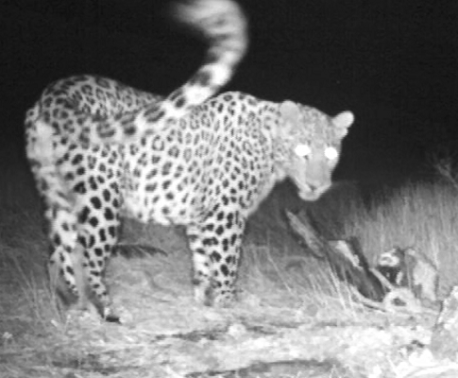 We urgently need to raise a further £41,000 to expand the Caucasus Wildlife Refuge to ensure freedom of movement for the last few Caucasian Leopards remaining in southern Armenia, and other threatened wildlife of the region. Every donation to Save the Caucasian Leopard helps increase the survival chances of this endangered species. When you dedicate a gift donation of £25 or more to someone special, WLT will send a personalised Gift Pack either by post or by email, as you specify. WLT’s printed Gift Pack (sent by post) comes in a wallet containing a gift card, a personalised certificate in the name of the recipient, a current copy of WLT News and information about the project you have chosen to donate to. WLT’s PDF Gift Pack (sent by email) contains a personalised certificate in the name of the recipient, information about your chosen project and a link to an online version of WLT News. For delivery before Christmas (UK only), the last order date for printed Gift Packs is Friday 20 December 2013. Last order date for PDF Gift Packs by email is Sunday 22 December 2013.